Are you close to graduating and are you looking for the best place to kickstart your career? Look no further and visit us at the Pauwels Consulting booth at the Limburgse Jobbeurs! Cupcakes! Yep, that's right. And pretty tasty ones too! Let's start with the good news! At Pauwels Consulting you will find lots of interesting projects to work on. We work for leading companies in Europe so there will always be a great project that fits your specific skills and ambitions. The perfect way to kickstart your career! Let's continue with the good news! 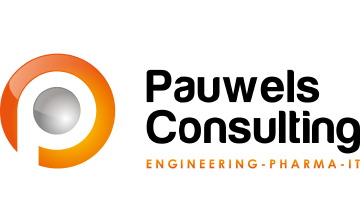 Pauwels Consulting is a Belgian consulting firm with a professional and very friendly atmosphere. We always call each other on a first name basis. So, do you want to feel at home at work? Then we should definitely meet! And there's more good news! At Pauwels Consulting you will get plenty of opportunities to further improve your professional and personal skills. Why? Because it will make you better and happier at work. That's what we call a win-win for everyone! So what about the bad news? Well, we will bring delicious cupcakes to the Limburgse Jobbeurs, but you will have to hurry to get one. We love our cupcakes so much we can't guarantee that there will be any left at the end of the job fair. That's all for now. 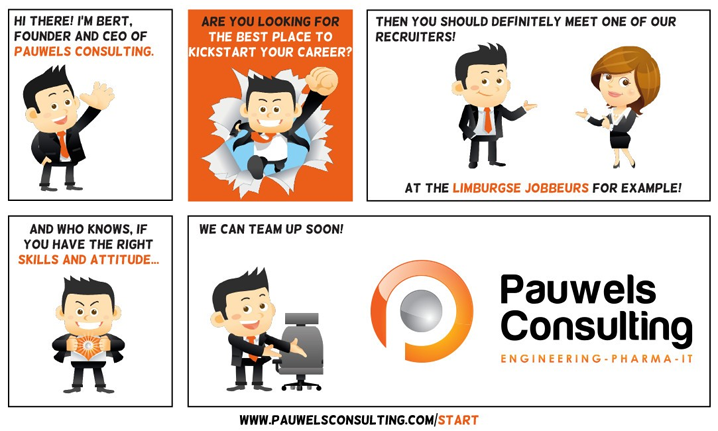 Do you want more reasons (9 to be precise) to start your career at Pauwels Consulting? Head over to pauwelsconsulting.com/start. We look forward to meeting you at the Job Fair! May our cupcakes be with you!